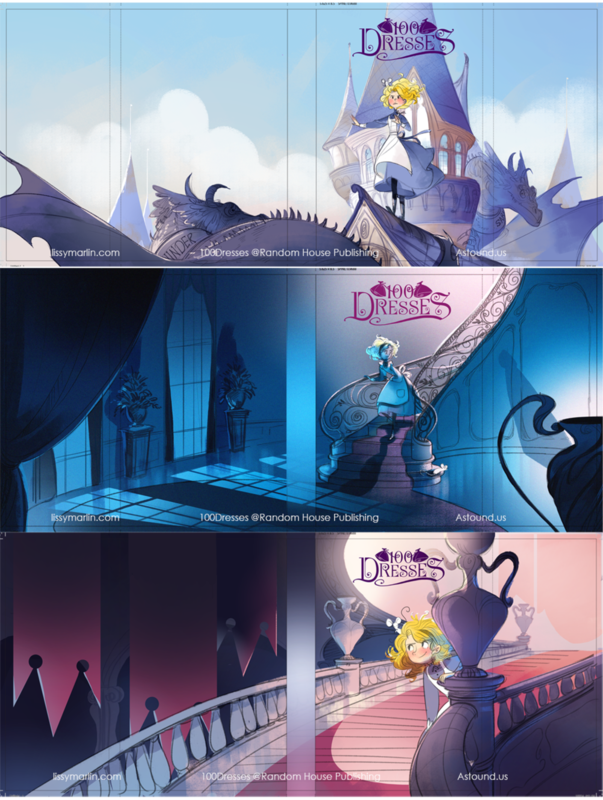 Originally called "100 Dresses, Not your Ordinary Castle"
world and thus it holds a special place in my heart. 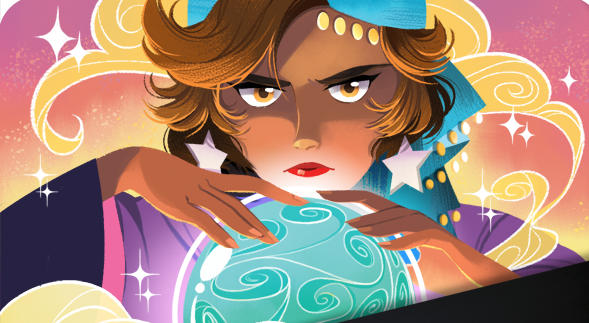 As Magic is my favorite ingredient when it comes to illustration I can say I had my share of fun to the very end. who one day finds a closet full of 100 Magical Dresses. Each dress she wears transforms her into a different person opening the door to different adventures with every dress. Commissioned by Random House in 2014. Published in 2017. Under the representation of Astound Illustration Agency. were trying to capture the magic, the dresses and most importantly the magical adventure that is about to happen! back into the 100 Magical Dresses locked away in the abandoned dressing room. Taking the direction of sketch no. 1 and some art direction from the Random House team I got right to work. 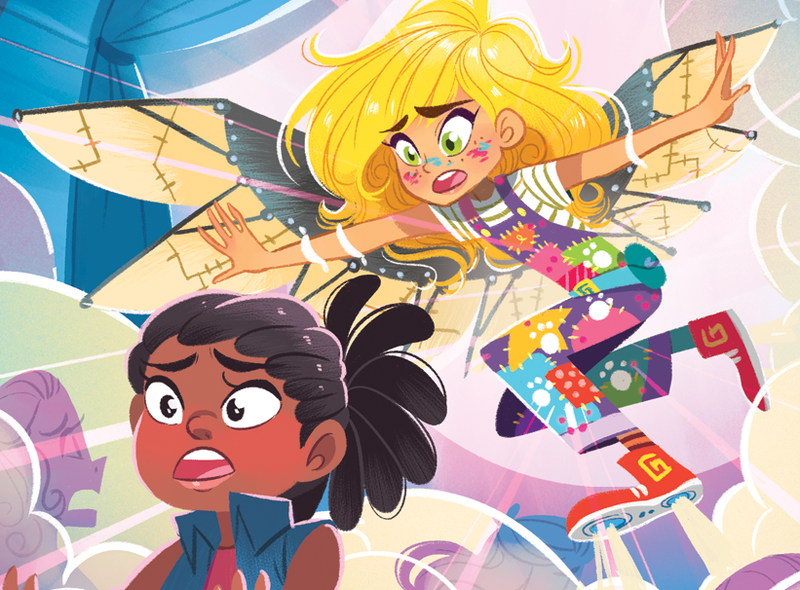 With help from the wonderful art director we landed at the final color option on the right, but before we did the team and I explored different color palettes and overall layout of the wrap jacket. 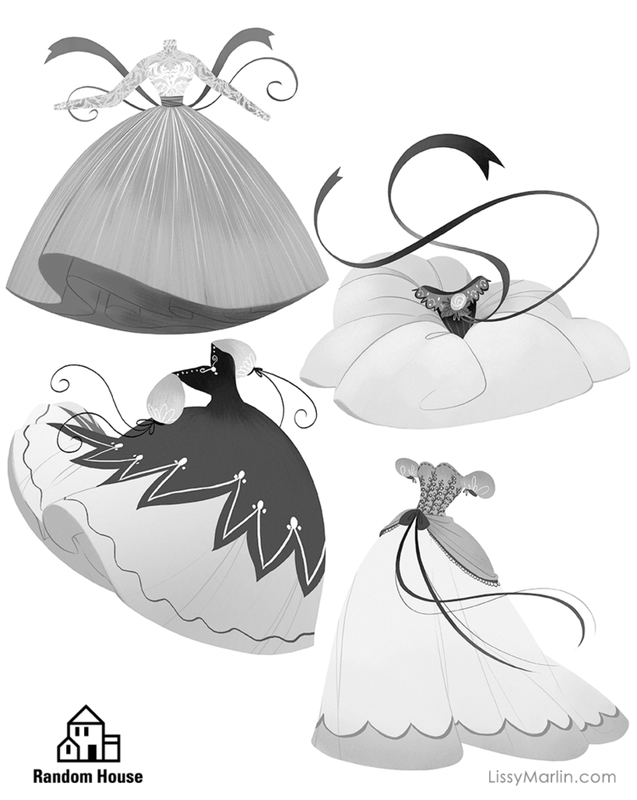 The overall idea for the cover was to make everything look grand and elegant in order to bring a little bit of the castle feel into the cover but still keeping the dresses as the center of attention. 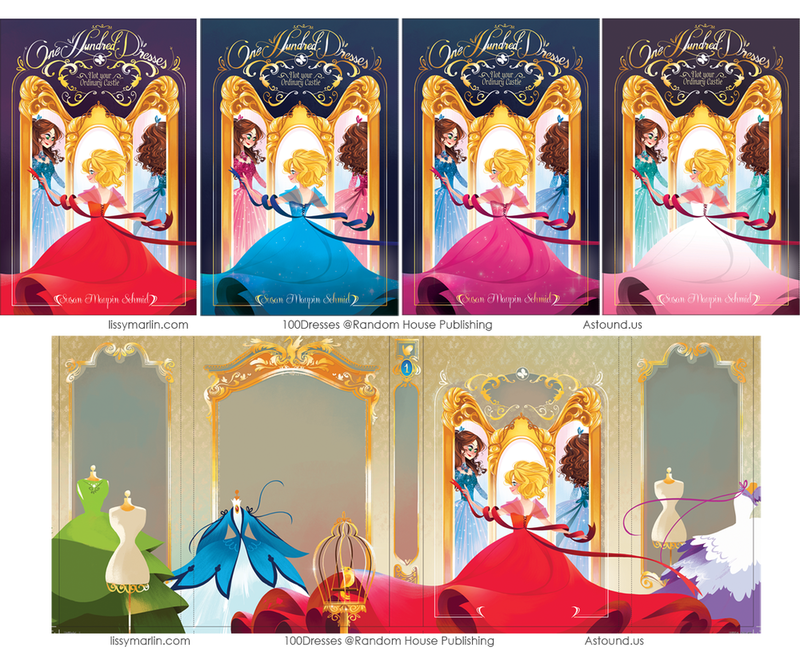 the feel of the cover was too centered around the dresses and not the overall adventure of the story. from the previous round. Secretly, I was ecstatic as this was, without a doubt, my favorite version of the cover. two new concepts hoping one would be a winner. Excited to hear the rooftop sketch was the favorite with the Random House team I developed two new versions of the cover to show different times of the day, upon request. The original sketch was probably morning or noon. 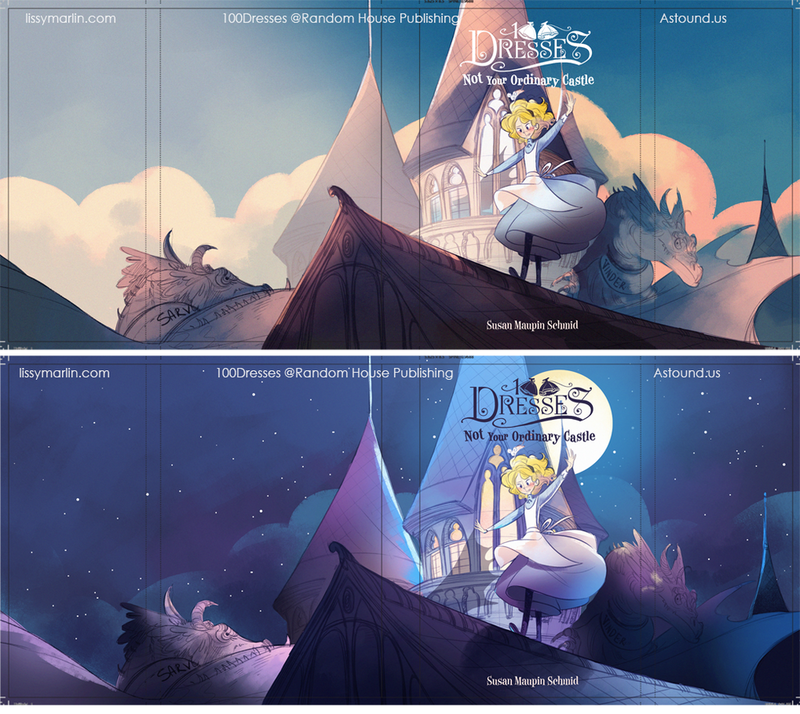 The team at Random House wondered how the setting could look during Dawn/Sunset and Night respectively. Needless to say, night time proved to be the most magical of all. After a few teaks to fix some composition issues and make space to fit in the book title design, the concept was sent in for approval before moving on to finals. To everyone's surprise, the rooftop cover concept came back to us rejected. Word was there was a different title coming out which shared the same concept as mine and thus the marketing team at Random House thought it would be best to go in a completely new direction. 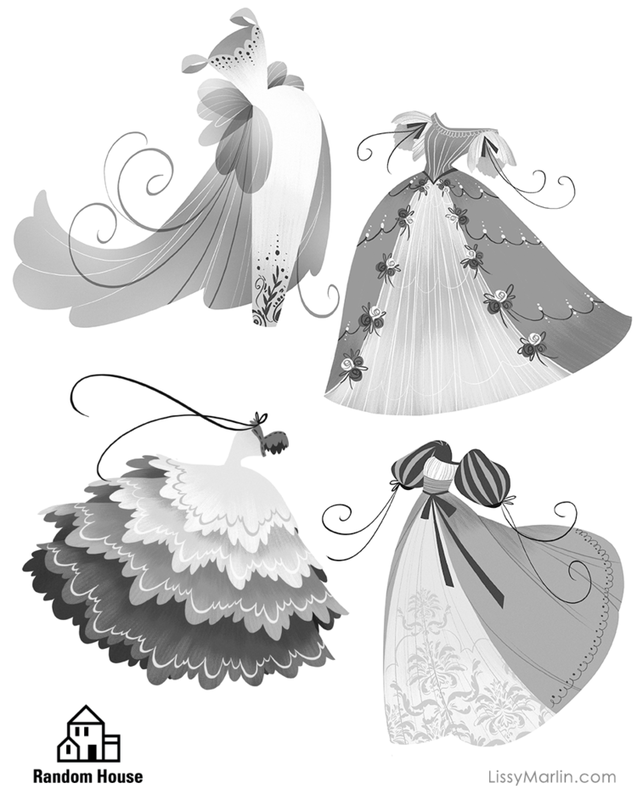 For this final attempt, the overall idea was to go back to the dresses and show the "Magical Dressing Room"
hidden away in the castle. which I think was the right call! as chapter openers made it into the book. 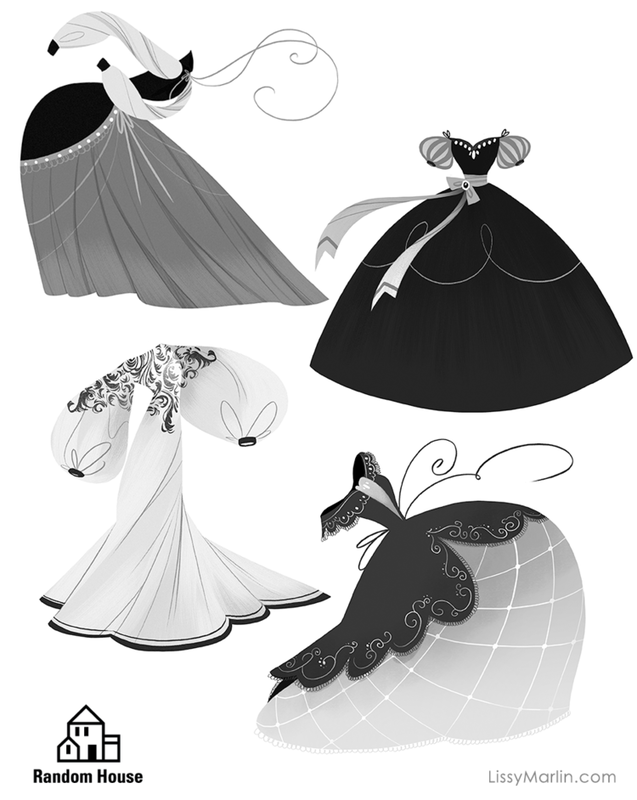 I'm so glad, I didn't think I would have so much fun illustrating dresses!